While Atawey, the Savoy-based startup specializing in hydrogen technologies, has already worked a lot with ENGIE, they will be showcasing with our partner InnoEnergy at the ENGIE & Partners stand at CES 2019. Geoffroy Ville, Atawey’s Sales Manager, talked to us about the company, about InnoEnergy and his vision of hydrogen mobility. Atawey was created in 2012 and works in two markets. Our main market is hydrogen mobility. We design and manufacture stations that produce and distribute green hydrogen to recharge hydrogen vehicles, mainly cars for the moment, even though we have entered the hydrogen mobility market with stations for hydrogen bicycles. Our second market is energy storage for isolated sites. With a team of thirteen people, we’ve achieved turnover of €1.5 million turnover in 2018. For three years, we’ve managed to double our turnover each year. 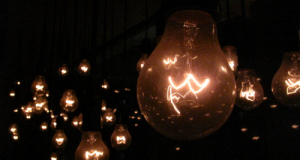 You’re going to CES with the European accelerator InnoEnergy. InnoEnergy is one of our historical shareholders. Although we mainly work in France for the moment, we are starting to look at European markets and InnoEnergy is helping us find customers and partners in Europe thanks to their network of business developers that is well-integrated across the continent. You are aiming for the European market, but you are proud to be 100% made in France? Yes, we use as much French expertise, skills and technologies to manufacture our products as possible. We are based in Chambéry at the Savoie TechnoLac, and that's where we design and assemble all our products. The French hydrogen sector is very technologically sophisticated across the entire hydrogen chain with very good quality products. What does it mean for you to be at the CES? It is a real opportunity to open ourselves up internationally, especially to North American countries. California is currently one of the world's leading markets for hydrogen mobility with a fleet of over 5,000 hydrogen cars. The CES is interesting from a business point of view and from a partnership point of view. We are a small organization and we try to work with key technical and business partners in the countries we are targeting to facilitate market access. We already work a lot with ENGIE, mainly with ENGIE Cofely in France, but also with other BUs and other countries. So it is that much more interesting for us to showcase with ENGIE and we hope to forge deeper relationships. We sold three hydrogen stations to ENGIE Cofely, which also maintains six stations that we sold directly to communities. 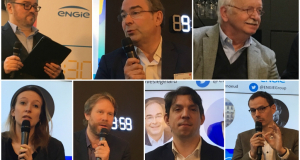 A few weeks ago, at the Salon des Maires, ENGIE Cofely announced the launch of its "HyStart" offering, which is a turnkey rental solution for hydrogen refueling intended for local authorities that uses Atawey stations. And other projects will undoubtedly see the light of day! What will you show at CES? How are you going to make what you do real for people? We will be showcasing a model hydrogen station that produces green hydrogen from water and renewable electricity. We chose to bring a model since even the smallest of our stations weighs 3 tons and has a volume of several cubic meters! What would be the meeting of your dreams at CES? The meeting of our dreams would be one with commercial partners that would allow us to scale up from selling 10 stations per year to selling more than 100. How do you see hydrogen mobility in 2030? In 2030, hydrogen will have taken its place as a carbon-free mobility solution available to all. All manufacturers will sell hydrogen vehicles for the general public and also for lease. It will be possible to recharge your car easily with hydrogen charging stations located throughout France and Europe.